The peak is visible from almost all parts of Wayanad. 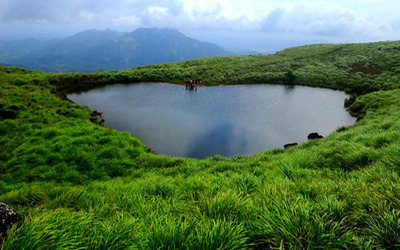 This place is an ideal destination for trekking activities. 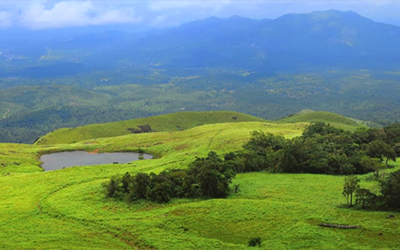 You have to take prior permission from the Meppady forest office before going for a trek at Chembra Peak. The forest office will be open on all days. Overnight camping is not allowed at Chembra peak as there is a threat from lurking wild animals. Chembra Peak is worth visiting all year around. But it might be good, if you avoid the place on rainy season, as the descent can be quite slippery during heavy monsoon seasons. There are lots of bus services, both government and private, to reach Chembra. You can get down at Kalpetta and from there to Chembra.